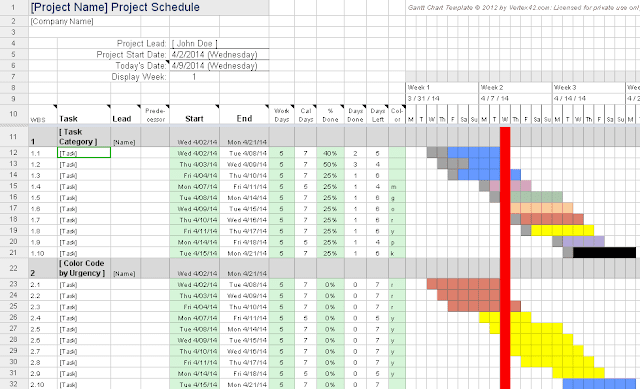 This Gantt Chart spreadsheet is designed to help you create a simple project schedule. You only need to know some basic spreadsheet operations, such as how to insert, delete, copy and paste rows and cells. For more advanced uses, such as defining task dependencies, you will need to know how to enter formulas.